Essential is that rarest of rare breeds in tech: A startup focused on building not just hardware, but a category of hardware that is dominated by two of the most comfortably secure leading companies in any industry. Still, Essential saw something missing in the now very mature smartphone market, and led by Android creator Andy Rubin, set out to address that gap. The Essential Phone (PH-1 by technical model name) is the fruit of that labor, created by what seems like an impossibly small team, that number under 100 and for much of the device’s development, actually numbered far fewer. It’s an Android smartphone, and its most remarkable feature is probably it’s nearly full-face display, which leaves only a thin rectangle of black bezel at the bottom, along with a cutout for the front-facing camera at the top. But after having used the Essential Phone for a few weeks, the standout feature isn’t the display (or the modular magnetic attachment on the back of the device, which supports the Essential 360 camera and other future accessories). Instead, it’s something far less tangible: The ability of the phone to elicit an emotional reaction – something that very few smartphones today can achieve, and certainly not to the same extent. The stated goal of Essential is to create a “lovemark” for Android smartphones, something that hasn’t really happened yet in the North American market. That’s according to Essential President Niccolo de Masi, who told me that Essential hopes to achieve the kind of relationship with its customers that Apple has managed to secure with its iPhone fans. Based on my experience, this is exactly what Essential has managed to do. Using their first smartphone felt a lot like using my first iPhone, which was the iPhone 3G (the first model commercially available in Canada). 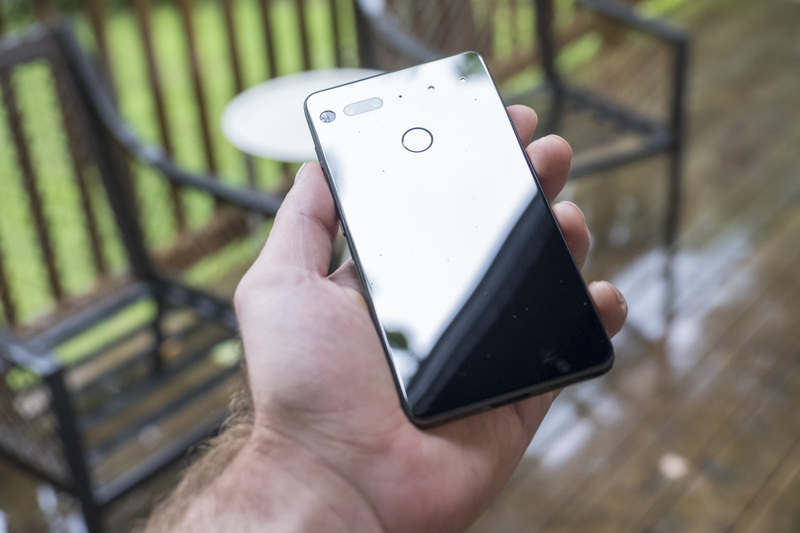 And I don’t mean that to say that the experience felt unfinished or rough around the edges, but rather that the Essential Phone invokes a certain kind of joy. It’s rare for any kind of smartphone to evoke an emotional response from me these days; the technology is generally too commonplace, and iterative, with not much in the way of large technological leaps or feature additions with each successive generation and device model. Generally speaking, with current phones, I can appreciate their technical achievements, but none have come close to matching that iPhone 3G in terms of a sense of personal attachment. The Essential Phone manages that, and it’s hard to point to exactly what it is about the device that produces that result. The display, for sure, is a treat, with ideal color rendering to my eye (not too saturated, as can be the case with Samsung’s smartphone screens) and that edge-to-edge look. The hardware and build quality, with the shiny ceramic back and titanium frame, is also incredibly attractive. The phone has a heft and feeling of density that’s reassuring in the hand, and that makes it a pleasure to hold. Likewise the high polish back, which somehow doesn’t feel slippery, and which looks amazing in person and when catching the light. The polished sides and front screen complete the picture, making the phone look almost like single continuous piece of high shine obsidian when the screen’s turned off. Ergonomics are great on the device, with easy single-hand use despite the large screen size thanks to the lack of bezels. The buttons are in the right place, too, with a power button below the volume rockers on the right side and the fingerprint sensor easy to reach in the center back of the phone’s body (well away from the two camera modules, which are in the upper left of the smartphone’s reverse side). The Essential software experience is also a contributor to its overall appeal – its version of Android is pretty much stock, without any unnecessary bloatware. I did encounter a few rare crashes, but these were minor inconveniences at worst. 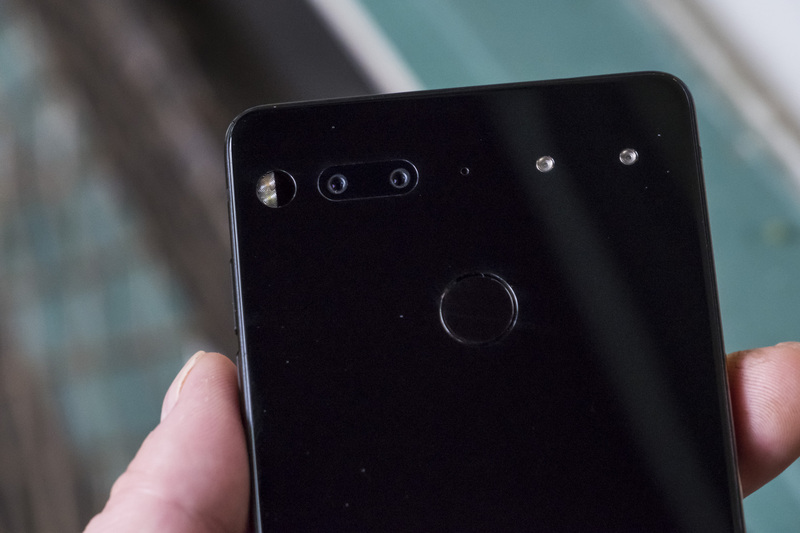 Essential’s camera might be the most controversial aspect of the phone, at least among reviewers. It seems like most consider the camera software “unfinished,” and indeed it’s not as consistently great an experience as the camera on the iPhone, Galaxy S8, Note 8 or Pixel XL. But despite quirks, the camera has some unique advantages when it comes to how it renders color, and with its dedicated mono sensor, that might make it a better choice than smartphone camera leaders for a select group of mobile photographers. Its color photos, especially in good light, have a special quality that I find appealing, almost an identifiable ‘look’ in the same way Fuji digital sensors produce pictures that enthusiasts can identify by color alone. Plus, the mono camera is a real joy to use – it’s fast and accurate, and produces images that look amazing without any additional editing even in situations where a traditional full color image would be drab and unremarkable. If you’re the type of photographer who has long looked covetously at the Leica M Monochrom digital rangefinder, than the Essential Phone’s camera might just be ideal for you in terms of mobile photography options. Ultimately, Essential’s success boils down to charm: This phone has oodles of it, and it carries through from its screen, to its fit and finish, to its (admittedly quirky) camera system. Features like the modular accessory port are nice to have, too, but Essential’s Phone succeeds without them. 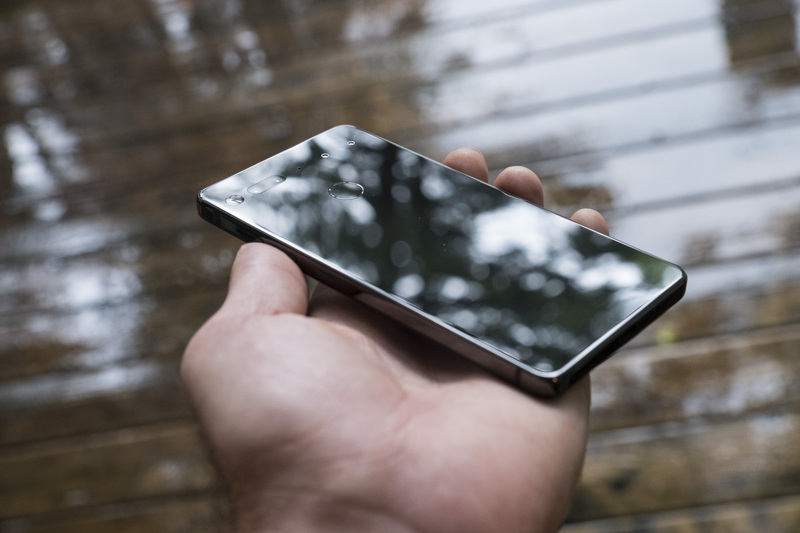 It’s weird to recommend a device based not on any aggregate sum of industry-leading specs, value or available features, but instead on emotional response – but that’s precisely why the Essential Phone stands out. 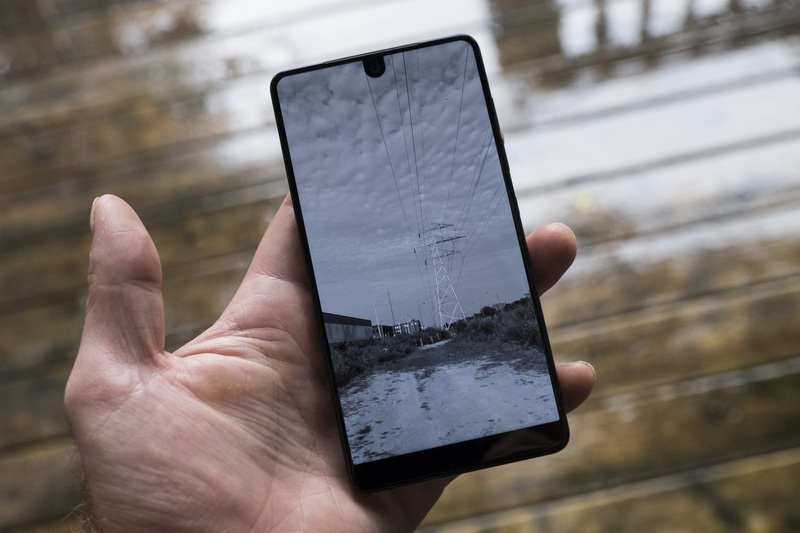 The startup set out to create an Android device that people could love, and that’s exactly what they’ve done, making the Essential Phone my top pick for those in the Android camp.